Ah, that first Fall nip in the air. It always gets me. I dive headfirst into soups, roasted vegetables, stews, bread baking, and lasagnas. There is just something so perfect about a warm kitchen and a piping hot bowl of food. I put this recipe together to capture this feeling and it was exactly what I wanted. 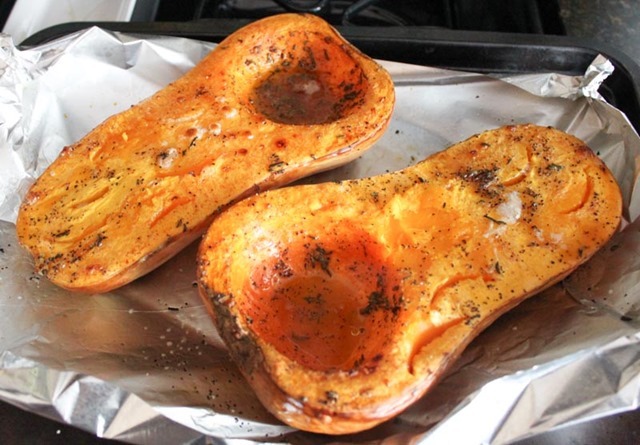 Start by roasting the squash at 400 degrees for 1.5 hours. 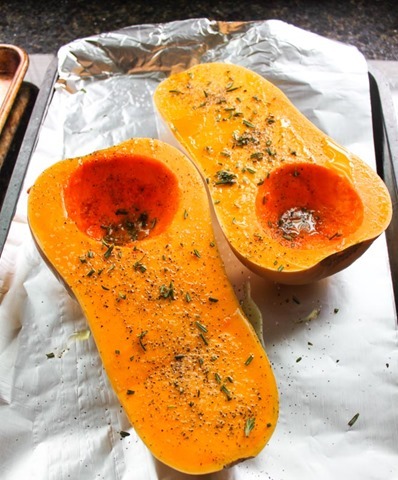 Rub with olive oil, half the rosemary, salt, and pepper before throwing the squash in the oven. 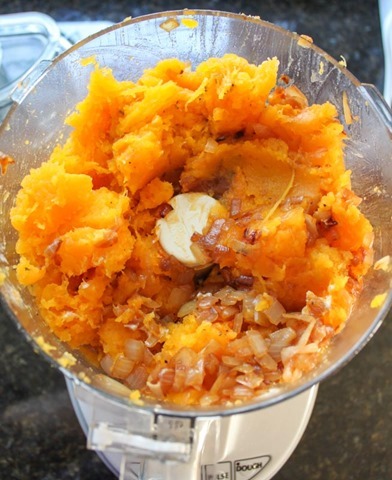 While the squash is roasting, caramelize the onion and then let it cool completely. 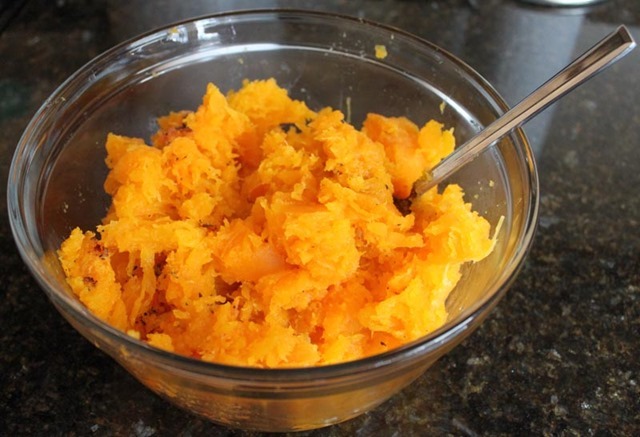 When the squash is done, let it cool for 15 minutes then scoop into a big bowl. 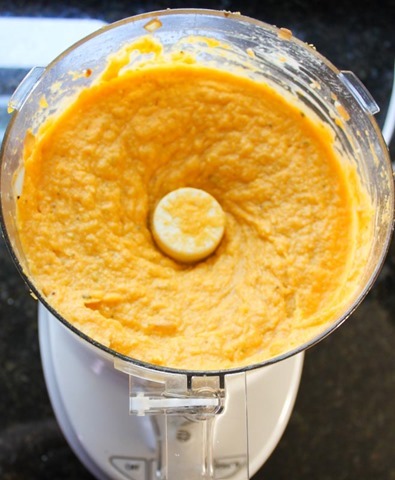 In a food processor, pulse the squash, caramelized onion, sour cream, and parm cheese until it is smooth and creamy. When that is done, set aside. 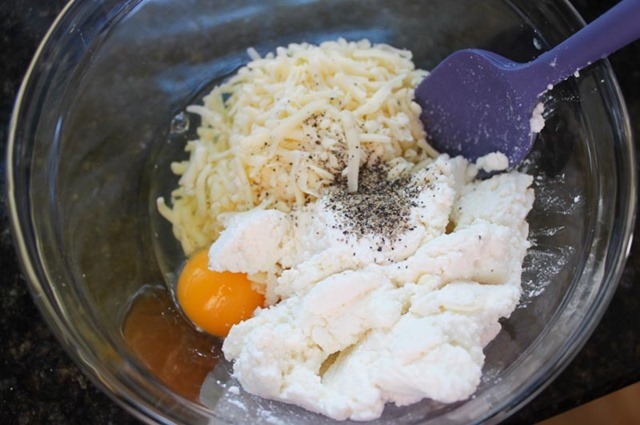 Finally, combine the ricotta cheese, egg, half the mozzarella cheese, and a pinch of ground black pepper thoroughly in a bowl. Now you’re ready to make the lasagna! Since this is a smaller batch, I made the lasagna in a loaf pan. 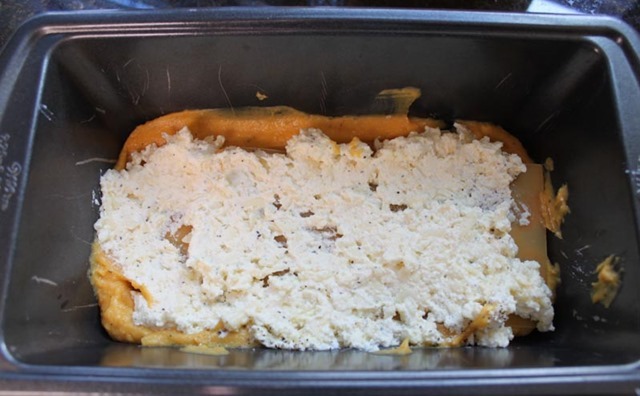 Spread a layer of the squash mixture on the bottom, next a layer of no-bake noodles, then spread the cheese mixture on the noodles. 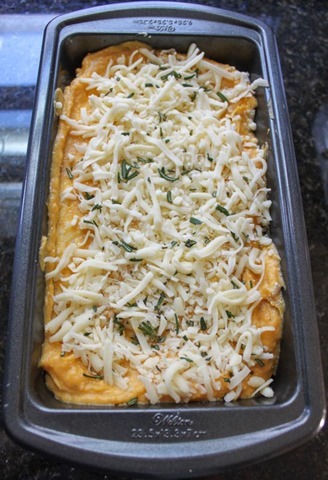 Start the next layer and continue building the lasagna – butternut squash layer, noodle layer, cheese layer. Mine made three layers of each. When you get to the top, spread the top layer of noodles with the last of the squash mixture. Cover with the remaining mozzarella cheese and fresh rosemary. Bake on 350 degrees for 45 minutes covered with tinfoil and uncovered for 20 minutes. 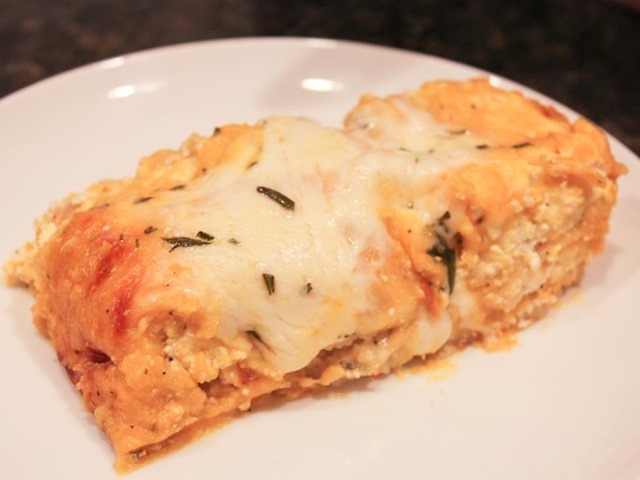 This lasagna was rich, creamy, and earthy. 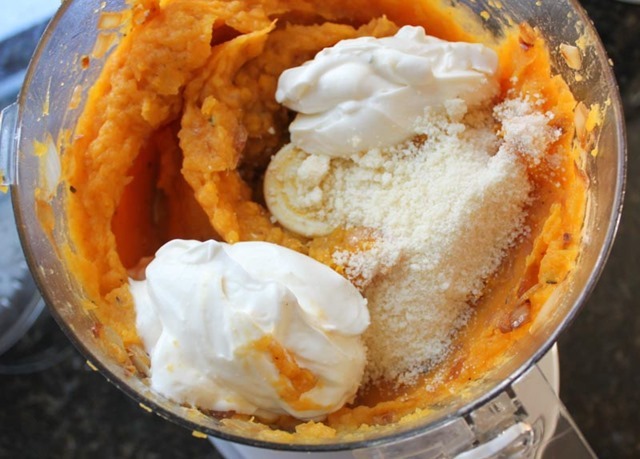 The squash, cheese, and rosemary are such a good flavor combo! I will definitely be making this recipe all winter long. I must try this! It looks divine! We really enjoyed it – I hope you do too!